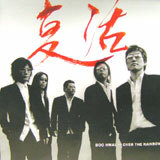 Boohwal’s 9th Album, “Over the Rainbow”, released in 2003, and the repackage series released in 2004. This was before Jeong Dong Ha joined Boohwal. The band had 5 members then. Aside from Kim Tae Won on guitar, Seo Jae Hyuck on bass, and Chae Je Min on drum, Eom Soo Han (keyboard) and Jeong Dan (vocal) were in the band. 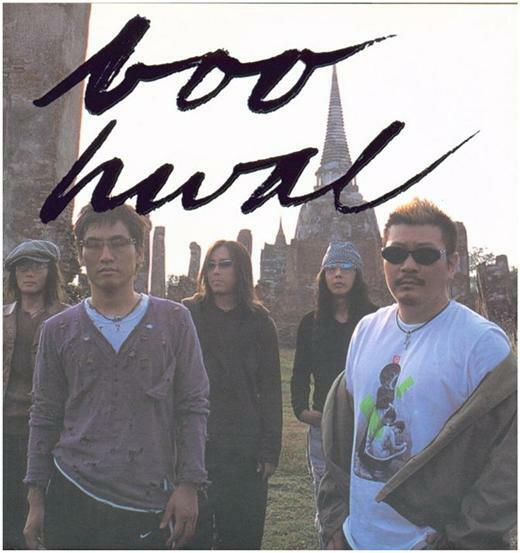 The 9th album also marked Boohwal’s first attempt to get into the Chinese market, by making the Chinese version of “아름다운 사실” (Beautiful Truth) titled 美麗的事實 in Chinese. And I’ve only known today that they also remade the song “사랑할수록” (The More I Love) and made a Chinese version of it for the repackage version of this album, titled 雪夜的街* in Chinese. The Chinese version of Beautiful Truth, 美麗的事實, was inserted as the ending theme song of a popular Chinese Drama titled 和你在一起* (“Together”) which was directed by the renown Chinese Director Chen Kaige (陈凯歌). Check out more in Chinese here..